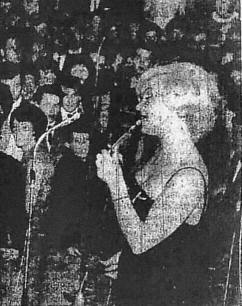 Kathy played the California Ballroom to a packed house on 16th May 1964. Her trademark of highly glossy red lips often seemed to eclipse the fact that she was an incredible vocalist. By the time she appeared at the Cali she had several top ten hits under her belt and had won the award for "Best British Female Singer" of 1963. Interestingly, whilst trawling through the films of old newspapers for some information, I came across a press release that tied her to the California Ballroom in an unexpected way. It seems that in 1981, our very own Bruce Benson became Kathy's manager and is credited with kick-starting her career. A few emails and enquiries later and it was confirmed, although apparently it was a short liason. 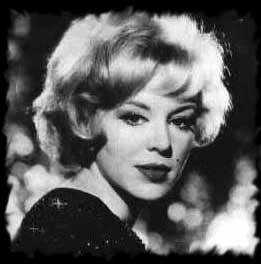 Songstress Kathy Kirby, the girl who leapt to fame through the television show "Stars and Garters", was at the California Pool, Dunstable on Saturday. Here she is singing to a packed house. Further to this, a long time friend of Kathy's recently contacted me for more information about Bruce. He has a website, approved by Kathy, containing memories and photgraphs that quite frankly is downright lovely to read. He clearly has great love and respect for the lady and I'm putting the link here so that you can go and read it for yourselves. Click on the pic below.